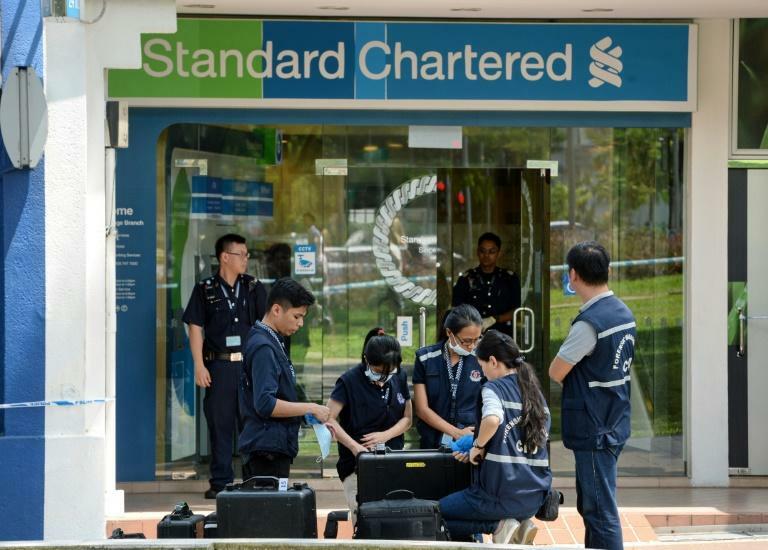 A British court has ruled a man suspected of carrying out a rare bank robbery in Singapore can be extradited after the city-state promised he will not be caned, officials said Thursday. The government in London will now make the final decision on whether David Roach, a Canadian citizen, will be sent to the city-state to face justice, Singapore's attorney-general's office and interior ministry said in a statement. Roach is wanted in Singapore for allegedly stealing Sg$30,000 ($22,000) from a Standard Chartered bank branch in 2016 after strolling in and presenting a threatening note. He fled to Bangkok, where he was jailed on charges related to bringing the stolen cash into Thailand but authorities refused to send him to Singapore as the countries do not have an extradition treaty. After his release, he was detained in January at London's Heathrow Airport while in transit en route to Canada, and Singapore requested that he be deported to the city-state. Singapore and Britain have an extradition treaty. The British court decided on Wednesday "that the requirements for Singapore's extradition request under UK law have been met", said the attorney-general's office and interior ministry. In a bid to get their extradition request approved, Singapore had agreed to a demand from London that Roach would not face corporal punishment if convicted. Flogging with a heavy rattan cane, a legacy of British colonial rule, is a common punishment in Singapore, with convicted bank robbers facing a minimum penalty of six strokes, as well as at least two years in jail. But Britain abolished caning as a punishment for criminals decades ago, and refuses to extradite anyone to a country where the punishment exists. Roach is wanted in Singapore on one count of robbery and one count of money laundering. Bank robberies are extremely rare in Singapore, whose zero-tolerance approach to crime has made it one of Asia's safest cities.